Which Cat is Right for You? 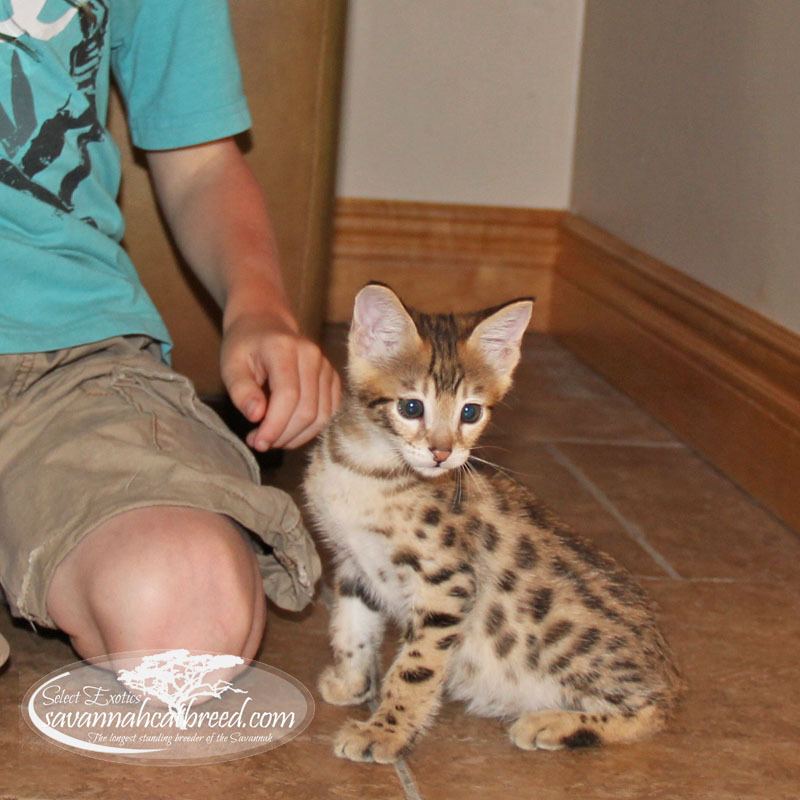 An Elite Savannah Cat is a spectacularly beautiful kitten, so extraordinary that only one “shows up” at Select Exotics a few times each year. 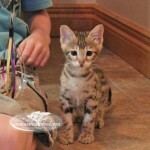 These exceptional kittens have the most vibrant coats, intense, rich color and dramatic markings. They are so striking, it is quickly obvious their quality is beyond even our highest expectations. And our expectations are very high! 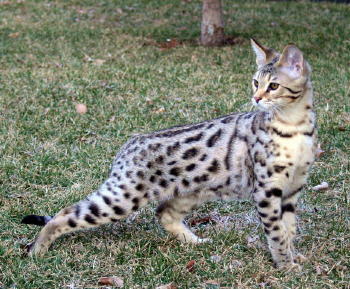 Having produced our first Savannah in the mid-90’s we have selectively bred our felines to be the finest. 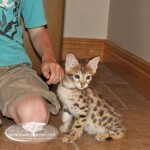 Each passing year sees the quality of Select Exotics’ kittens become more and more refined. Pictured below is our last Elite kitten. He is not available. “We have checked every site on the internet and keep coming back to yours! 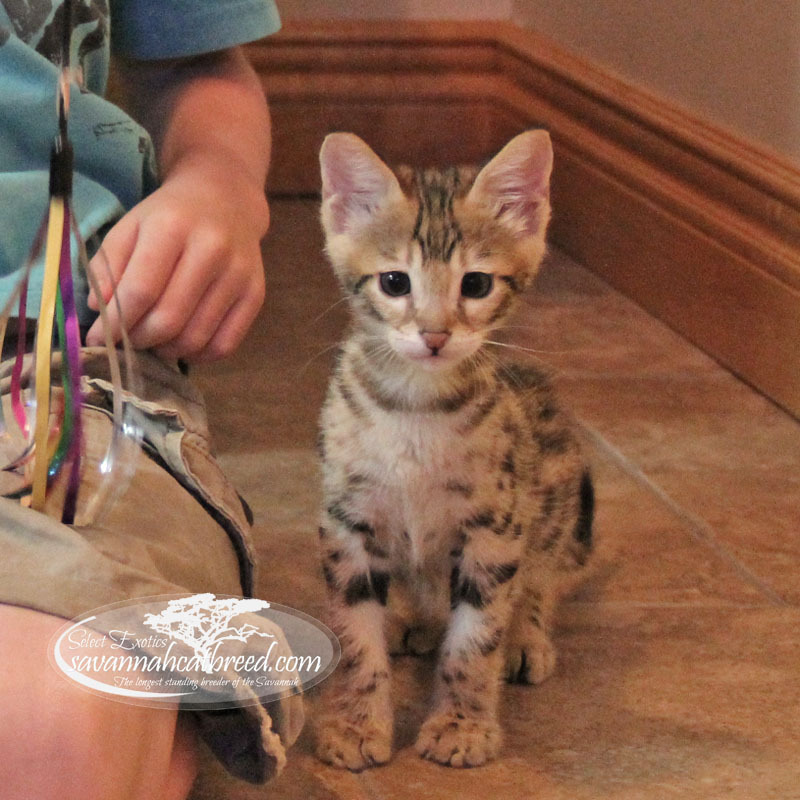 The color of your kittens is so much better than any we have seen!” ~This wonderful compliment continually comes from our clients. It is so rewarding to find the results of our years of hard work and thoughtful breeding decisions are obvious to others. 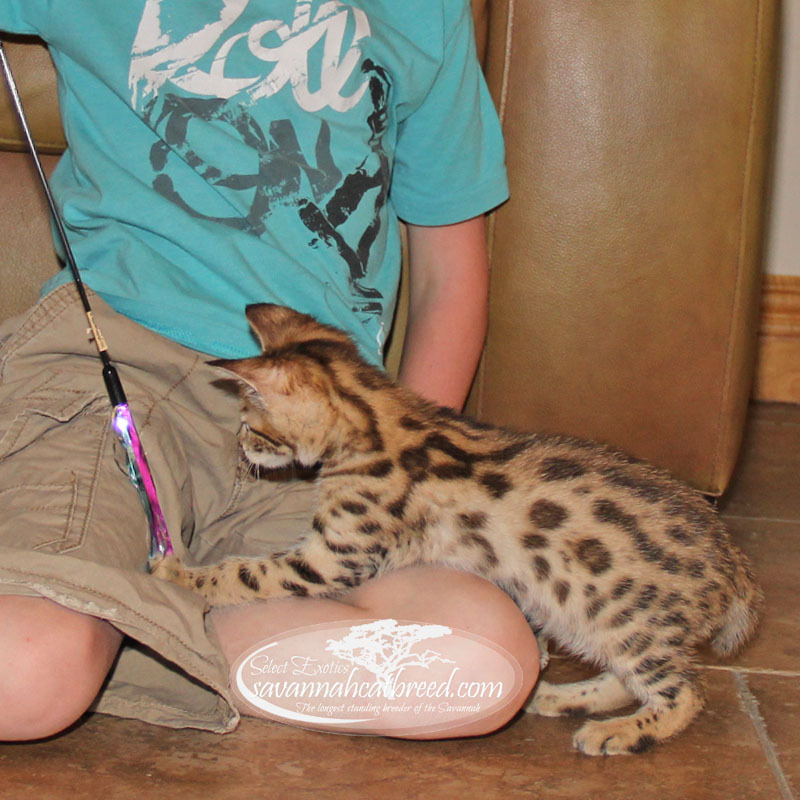 Even so, every now and then, a phenomenal kitten, above and beyond our peak expectations, is born at Select Exotics, one that shines above the rest. These births are rare! The kittens are sublime. If you are the discerning pet owner who appreciates superlative quality and are willing to wait for one of these remarkable kittens “to appear,” please email or call us. We are now taking deposits for The Elite Savannah. Kittens are priced at $23,000. We’re so excited that Camber has been made a part of Scott and Debbie’s family. He seems to be fittinging in quite well. 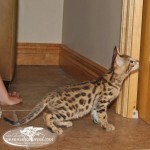 His extremely social disposition, stunning coat and outrageous growth rate are all reasons that he fits the description of the Elite Savannah so well. Click the link above to read more about Camber.